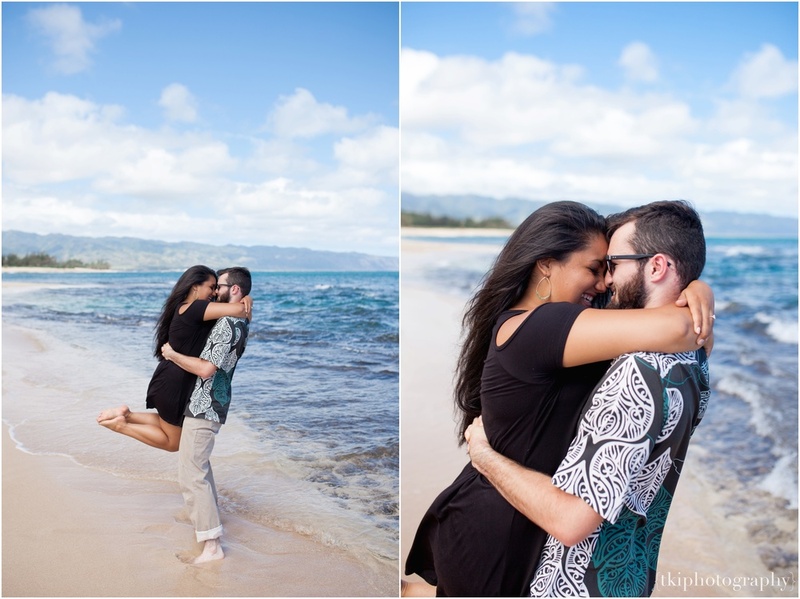 The sun shines just a little differently out on the North Shore of this island. 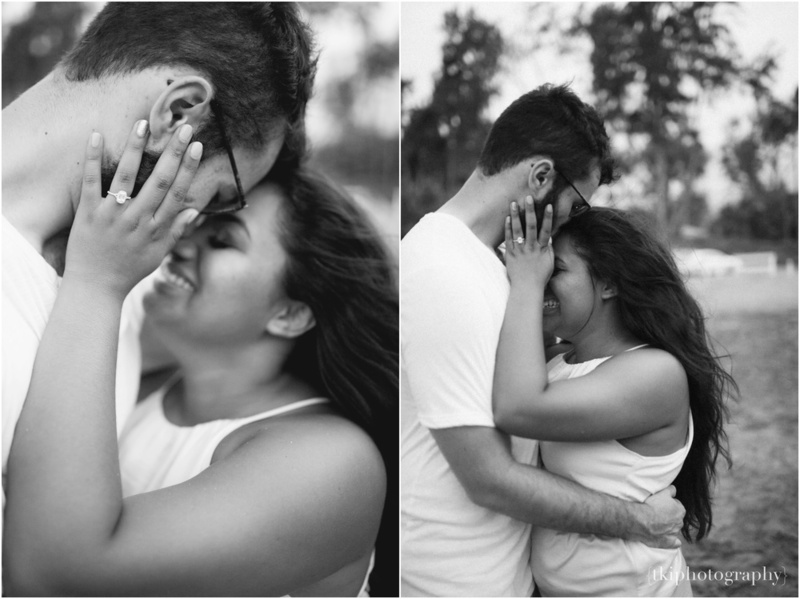 I love shooting out here, so any time I get a chance to do so, its exciting. 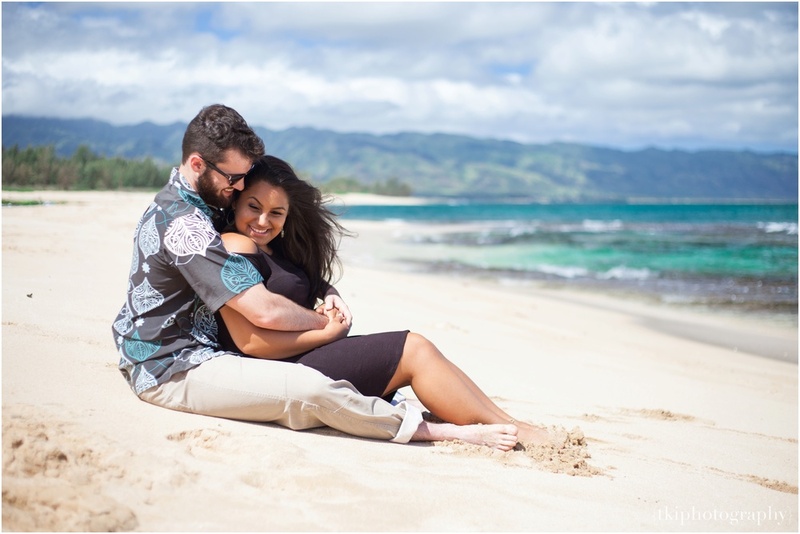 You come across some of the most beautiful beaches, as well as a pass through the local surf town in Haleiwa where you will be able to find fresh Shave Ice and amazing grinds (there is just so many, you have to try them all!). 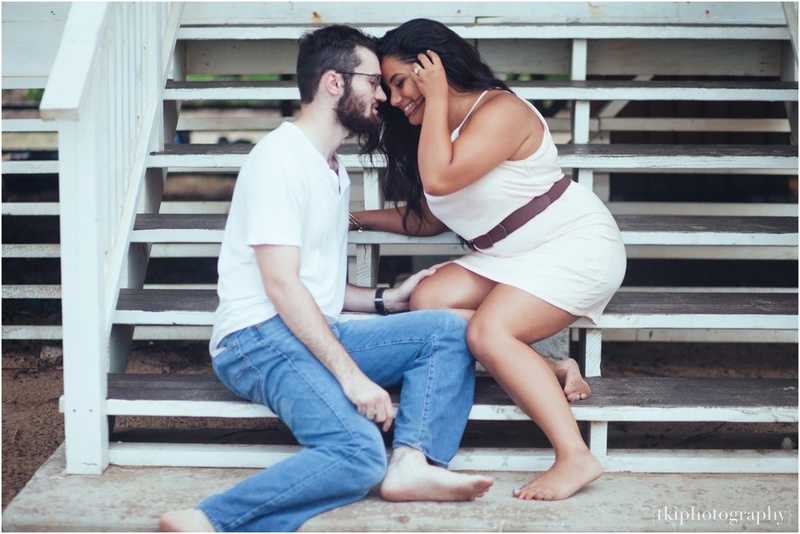 Ben and Tina expressed their love beautifully. 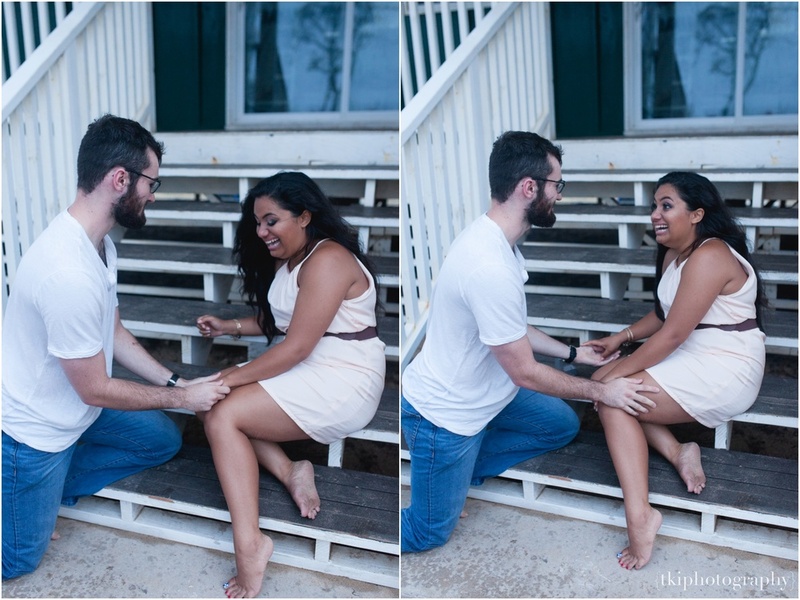 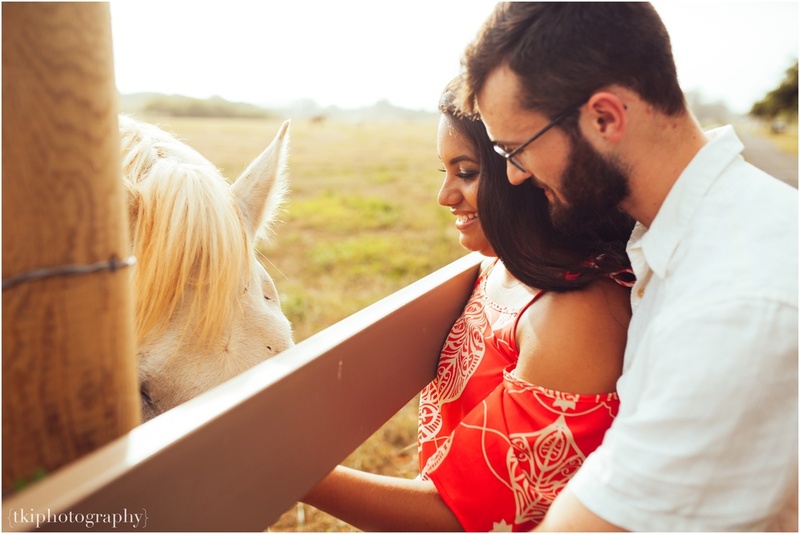 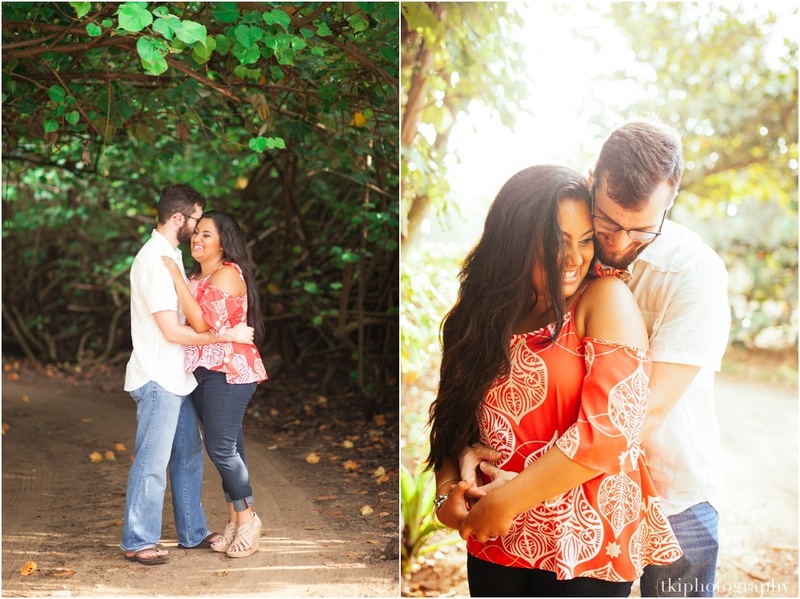 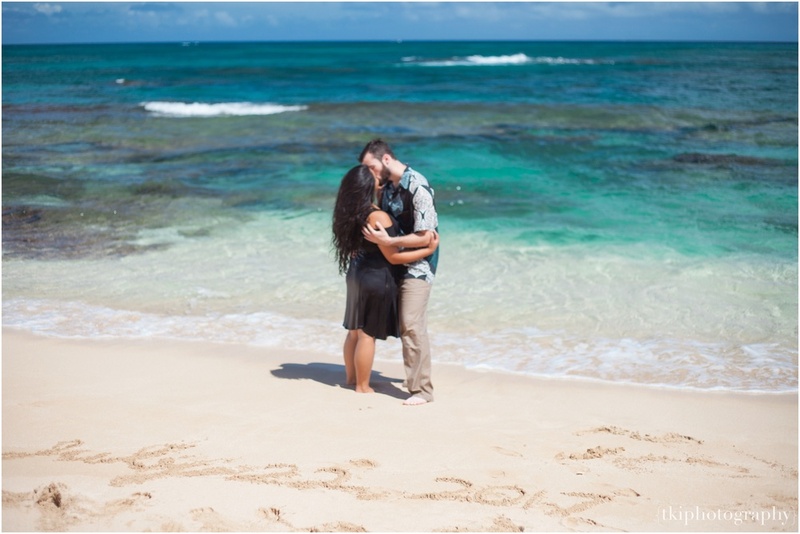 Towards the end of our session, Ben decided to formally propose to his beautiful, Hawaiian woman in front of all of her loved ones up at their campsite in Malaekahana. 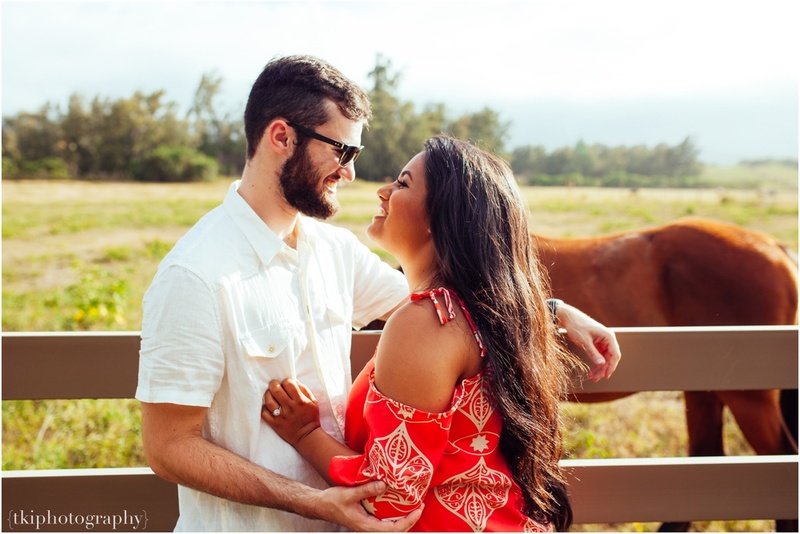 Without her knowing, Ben even had Tina's best friend Keilana come out and surprise her with their favorite song, La Vie En Rose <3 (Might I add, Keilana had a gig in town that ended at 5:30, then rushed out to Malaekahana shortly after).